Stephanie is a results-driven hospitality professional with 15 years of experience in sales, operations and event organization for multinational hotel brands. She strives to make an impact through exceptional customer service and communication skills. Driven by her passion for the hospitality industry, tourism and most importantly, customer satisfaction, she founded Hotel Selection Experts (HSE), a hospitality company based in Costa Rica, and is its current CEO and Regional Director of Sales. In her present role, she oversees site selection and venue searching for corporate, incentive, leisure and TTO groups and events, serving Latin America and the Caribbean. Due to HSE’s location and Stephanie’s vast contacts, she serves as an intermediary in finding the best vendors for events based in Costa Rica. In addition, since the core for every business is customer excellence, HSE provides company training in this important area to deliver excellent customer service, setting a high standard for current and potential customers. Stephanie began her career at the Best Western Irazú Hotel as a Front Desk Clerk, eventually becoming Sales Executive Assistant. She spent the next six years as the Group Sales Manager for all three Marriott hotels in Costa Rica: Costa Rica Marriott, Courtyard by Marriott and Los Sueños Marriott Ocean & Golf Resort. She oversaw Corporate and Tour & Travel markets as well as Premium Events Outside Catering. 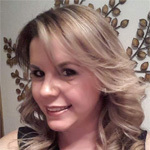 Prior to creating HSE, Stephanie climbed the chain of sales command working as a Sales Executive for the Wyndham San José Herradura Hotel, and later as the Group Sales Manager for both Dreams Las Mareas and Secrets Papagayo Hotels, where she was responsible for leisure, corporate and incentive group sales in the U.S. and Canada. As a language and communications enthusiast, Stephanie studied as much foreign language as possible (Italian, French, Japanese and Catalan). She is fluent in Spanish and English. She also studied Public Relations at the Interamerican University of Costa Rica. Stephanie puts loving God, her family and her friends first. She enjoys playing with her young son, watching romantic comedies and children’s movies, dancing, traveling and meeting new people.